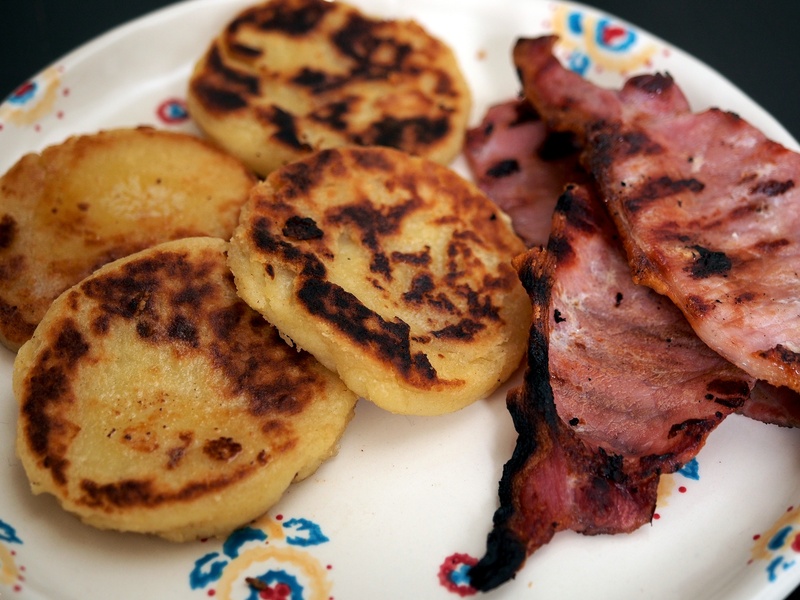 We sorely miss potato farls which you can buy in every bakery in Belfast and are so delicious with bacon for breakfast or brunch. It was a delight to find such a good and easy recipe. You have to make these with hot potato so it’s fine to use leftover mash but make sure you re-heat it. Work the ingredients together with your fingers, then roll out the dough lightly into thin circles with a very well floured rolling pin. Cut with a scone cutter into circles and fry in a little butter until browned. Serve hot with more butter and some crispy bacon.